Editor's Note: Read the MOB Eligibility and Evaluations Criteria and CASC's response at the bottom of this article. The Central Area Senior Center will host a community meeting to discuss its potential acquisition of the city property in which it operates 6-8 p.m. Monday, April 15. Sound Generations has been working toward acquiring the property at 500 30th Ave. S. for the past five years, which would allow The Central to be expanded to better serve seniors and the greater Central District community. It is one of three city-owned buildings the city council wants transferred to the nonprofit using it, and a statement of legislative intent passed in the budget last year requested the mayor’s office put together a report addressing those properties. An interdepartmental team that includes the mayor’s office, Office of Economic Development, Office of Planning and Community Development and Finance and Administrative Services was formed in September to determine organizational readiness for property transfer of Mutually Offsetting Benefit (MOB) buildings. The Central, Byrd Barr Place and Greenwood Senior Center leadership met with the interdepartmental team on March 13, where a MOB Eligibility and Evaluations Criteria form was shared. The Central executive director Dian Ferguson says the April 15 community meeting will focus on what came out of those discussions, gathering ideas and strategizing next steps. The MOB Eligibility and Evaluations Criteria requires tenants of these mutually offsetting benefit buildings to demonstrate they are organizationally and financially prepared to discuss a property transfer with the city. It had also set a deadline of no later than March 31 for completing the property transfers and offsetting benefit (MOB) leases with the nonprofits. The MOB criteria form’s definition of public benefit eligibility includes organizations that provide social services targeting senior and aging individuals, as well as those that advance economic and racial equity in communities at high risk of displacement. Organizations must also provide a decade of income and expense information to show it can meet operational and maintenance requirements for the facility they want to acquire. A “Spending Plan Matrix” must show the organization can cover $5 per square foot of the building gross area for annual maintenance and operations, or demonstrate the capacity to generate it through past fundraising efforts. The city’s MOB criteria also requires the organization to have a reserve of at least $50,000 to address “surprise facility events that would otherwise prevent the operation of the facility,” and $13 per square foot “to permanently correct a surprise building system problem,” or show past fundraising performance indicating it could generate the money. There also has to be community outreach and support for the organization taking ownership of a property, which is another reason for holding the April 15 meeting. The gross square footage of The Central building is 9,748, but it is located on 57,600 square feet of city-owned land. Ferguson argues the redevelopment potential for the property as affordable housing, which the mayor is considering, is minimized by the significant slope south of the building. Even if The Central property is not feasible for affordable housing development, it could still be sold to generate revenue for creating affordable housing elsewhere. 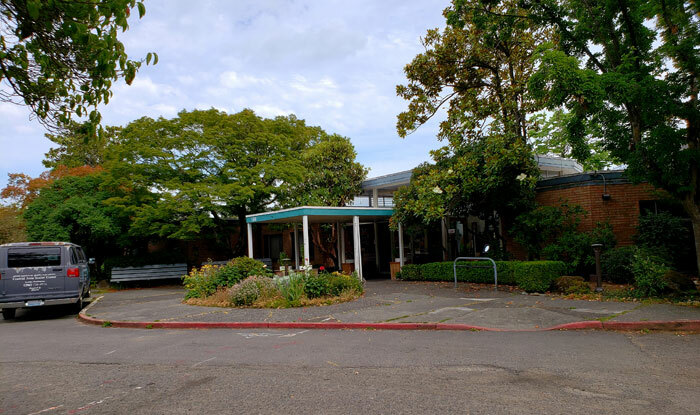 The Greenwood Senior Center was assessed at $1.9 million in 2013, and a nearby property was sold for $5.6 million in 2018, according to the mayor’s office.